LOWER MANHATTAN, New York (WABC) -- A member of the Eyewitness News team joined dozens of volunteers to help make sure children have a great holiday. 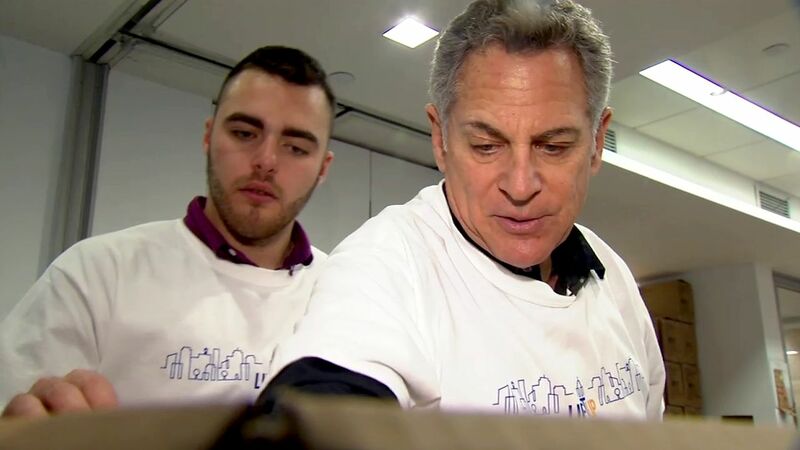 Anchor Bill Ritter and the other helpers boxed up more than 25,000 gifts for children who otherwise might not get any. The event was hosted in Lower Manhattan Tuesday. The effort was part of the anti-poverty group called FPWA, with 80 community-based organizations benefiting from it. Ritter's son, Owen, was also part of the volunteer effort.